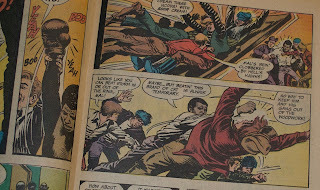 DC Comics was slow to include ongoing black characters into their series. Marvel was aggressively hip, catering their books to an older audience. DC was viewed as conservative and predictable. Rock versus Easy Listening. Plenty of merit on its own, and some wonderful artistry, but missing out on the new ideas of the day. DC's efforts towards introducing diversity started slowly. Marvel was already using Falcon regularly in Captain America, and Black Panther was an Avenger. 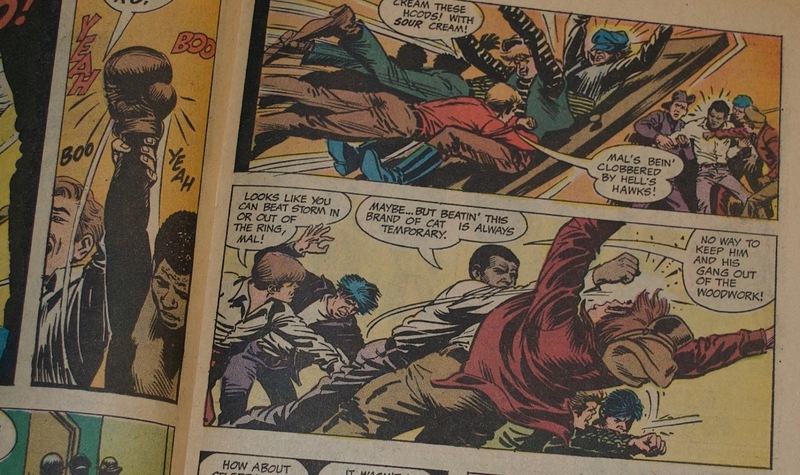 DC was testing the waters, but it would take the company until 1976 to feature a non-token black character regularly in one of their series. They made 3 efforts at inclusion in 1970. This is the first. Teen Titans was a fun, light book portraying the adventures of several younger heroes. Robin, Kid Flash, Speedy, Aqua Lad, and Wonder Girl made up the core group. This issue debuted Mal Duncan, and I honestly don't know what the hell is going on here. I've read the earliest Titans stories, and the 1980s run, so figured I would be able to pick up what was happening from context clues. I could not. A Professor X like character puts the team through their paces in a Danger Room test lead by a Robot called Angel. Did I pick up an issue of X-Men by mistake? Mr. Jupiter (The Prof X guy) gives the Titans a penny each and tells them to go to the rough side of town. Lilith (Dracula's teen sidekick? I have no idea) picks up a psychic impression directing them to find a Black Star with the penny. The Titans meet Mal on the mean streets of Generic Urban Environment, as they witness him fight a white gang that is messing with his sister's lemonade stand. There's a boxing match later, where Mal beats up the gang leader. Disco dancing happens. Mal is offered a slot in the Titans line-up. It turns out that Mr. Jupiter has a rocket probe laying around that he's going to send to Venus in the morning. The narration informs the reader that it will be unmanned as it is a one way trip. Mal sneaks out and flies the rocket towards its terminal destination, doing his best Major Tom impression. The end. This being comics, Mal was apparently popular enough to warrant making it back from Venus. He joins the team in Teen Titans 44 (1976) which was the first issue of a revival after the book had been defunct a few years. Mal adopts the role of the Guardian, an old Simon and Kirby character from the 1940s. That iteration of Titans ended with issue 53. 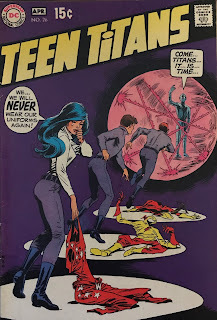 The 1980 New Teen Titans series was a huge hit, but very forward looking. Mal would appear once in this groundbreaking version of the character's exploits. In issue 50 he is a guest at Wonder Girls wedding, overweight, retired from the super hero game, and married to Bumblebee. Ultimately, Mal is a weird blip and a tentative step towards integrating the DC Universe. Not exactly ahead of his time, but he was the company's first recurring black character. Even if they were scared to put him on the cover.